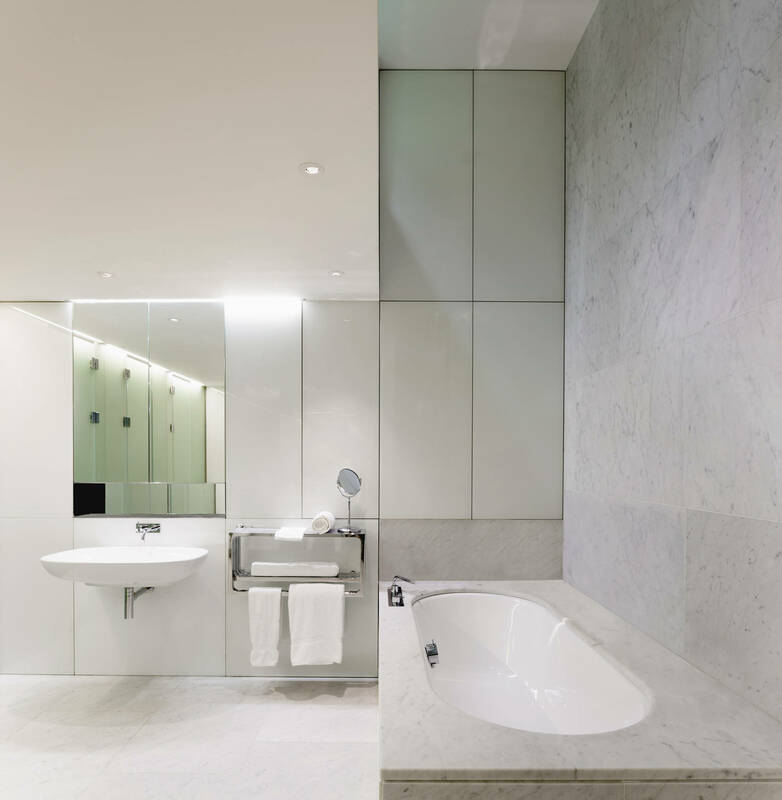 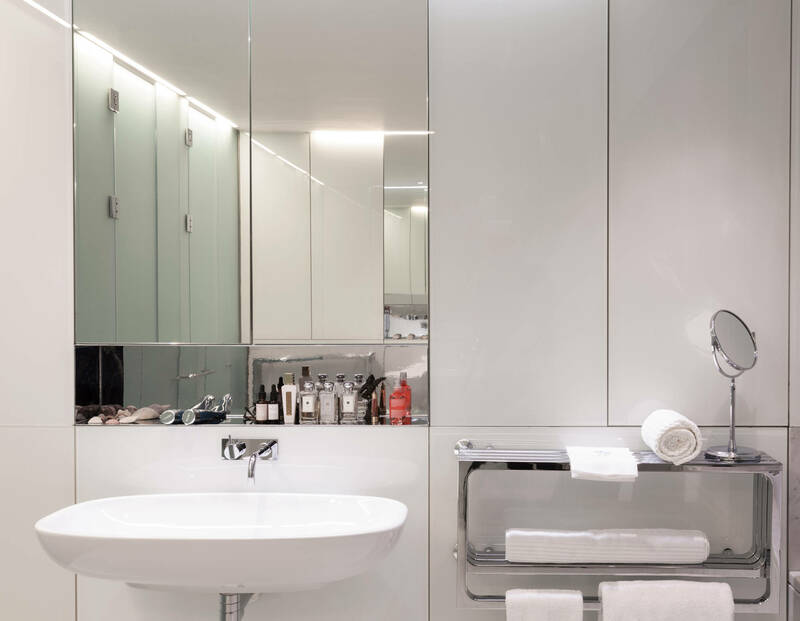 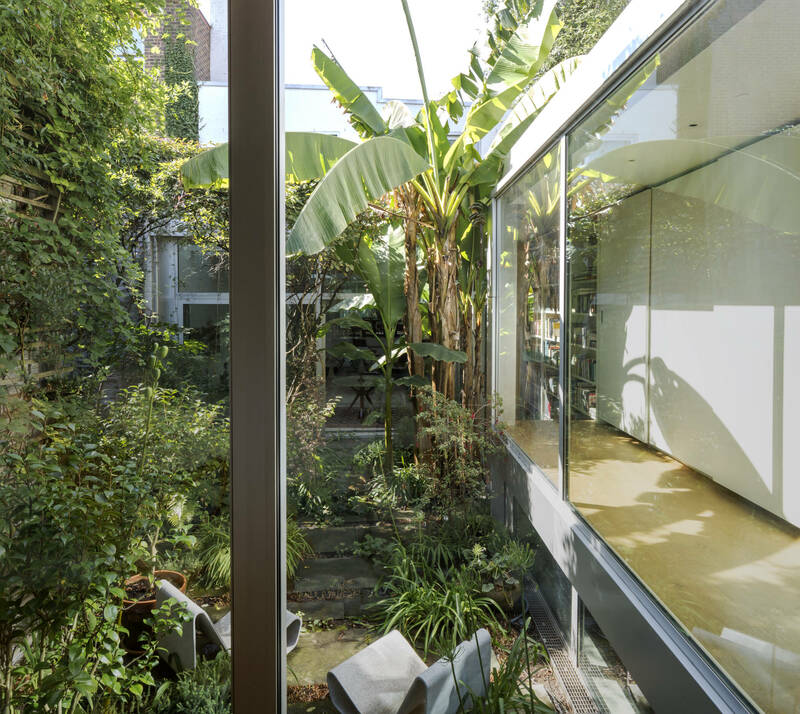 The house occupies a long site in Chelsea that extends form the street deep into backland. 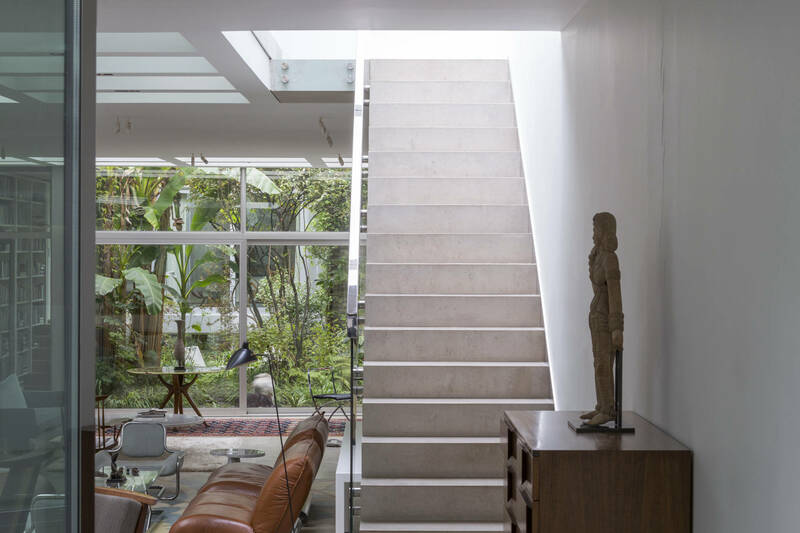 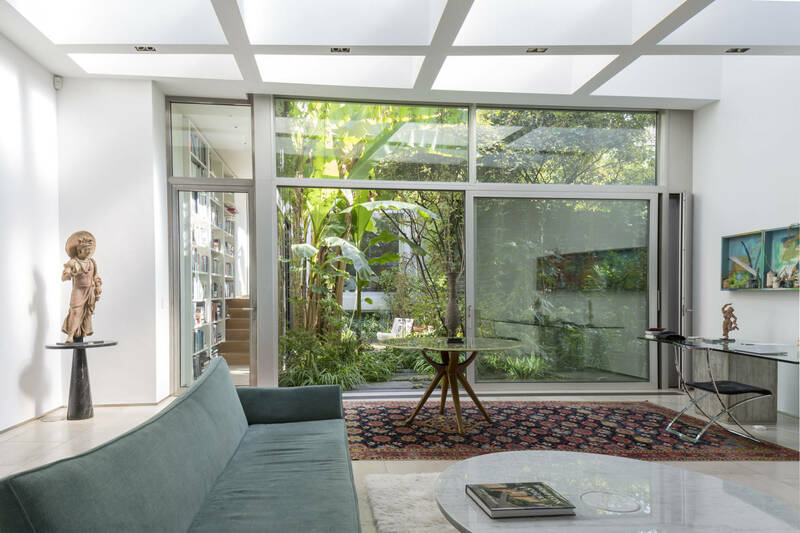 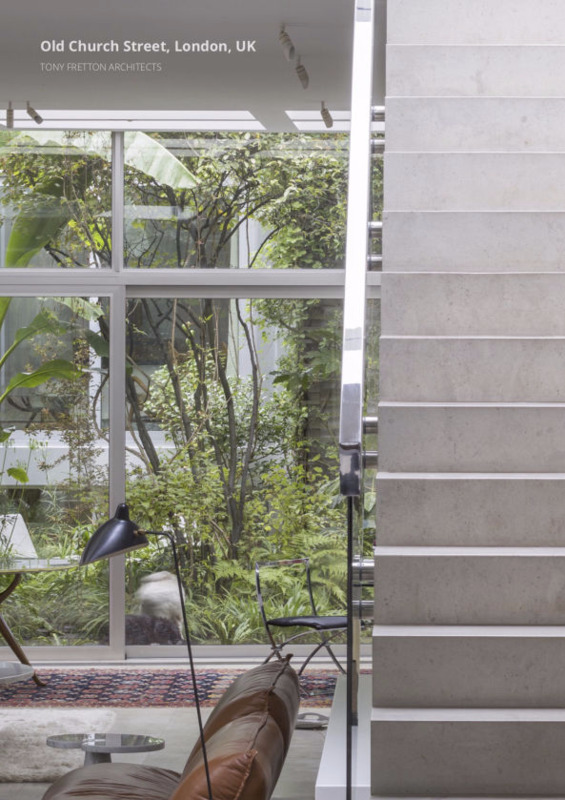 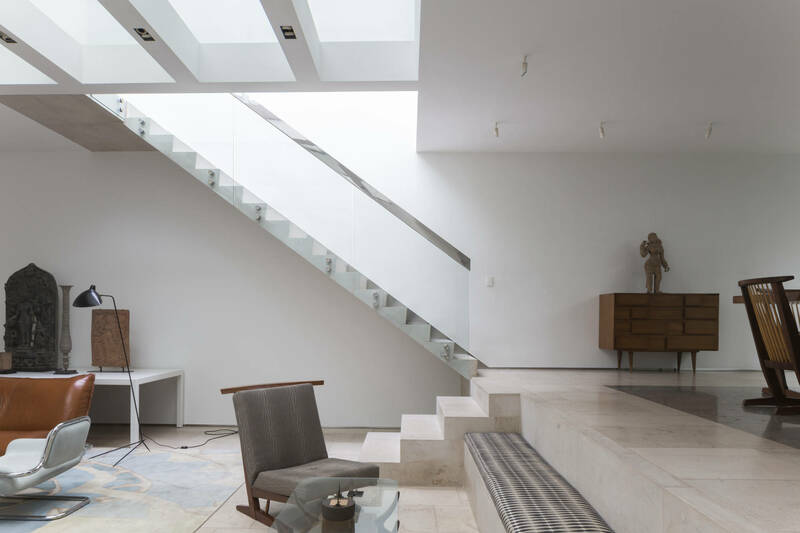 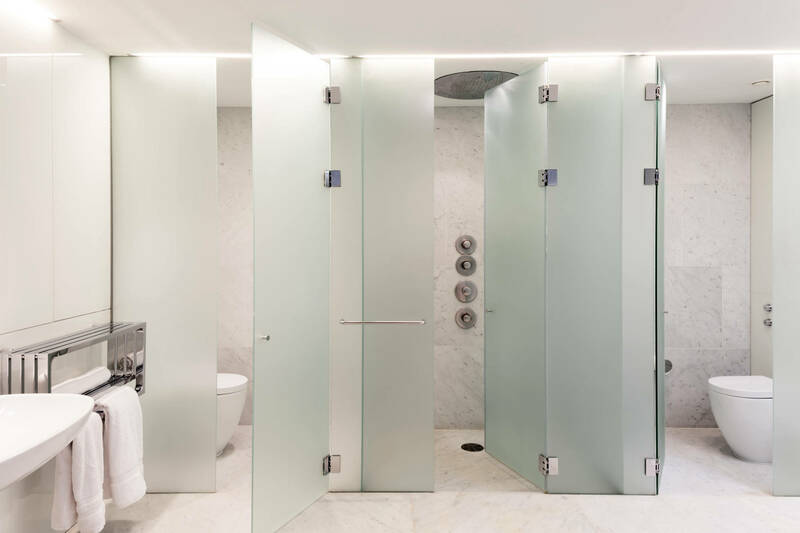 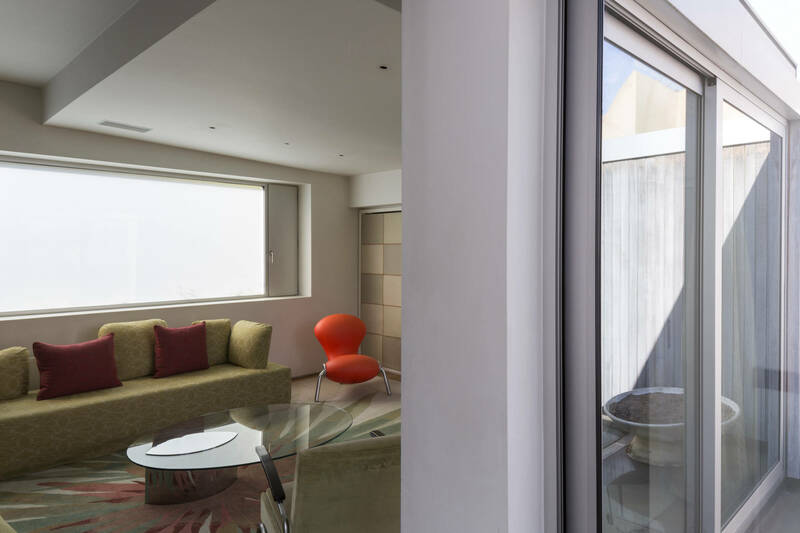 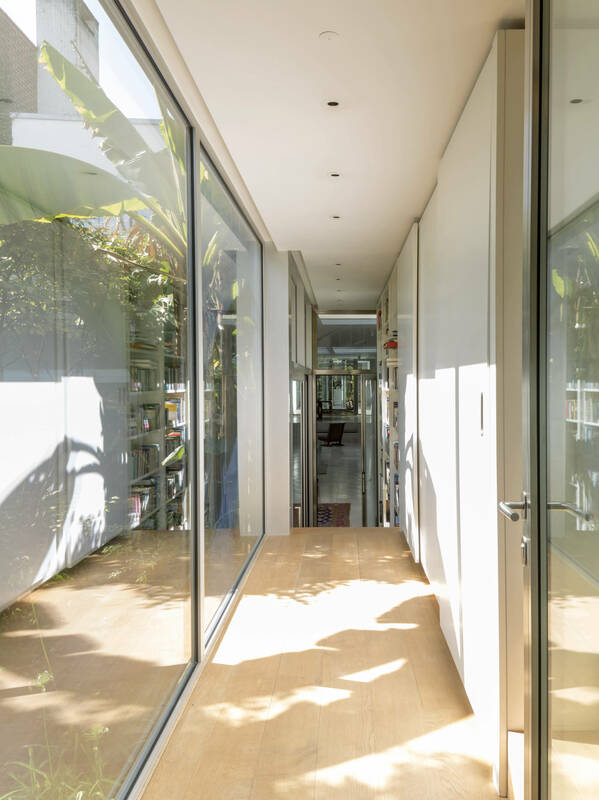 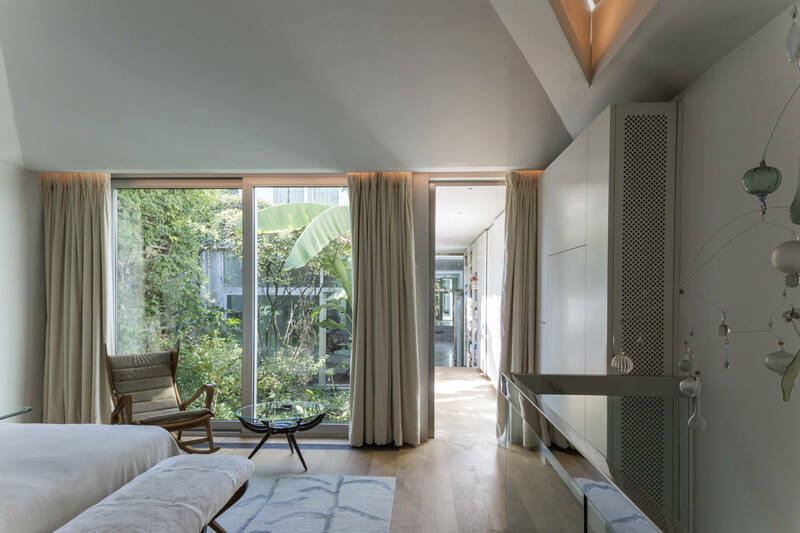 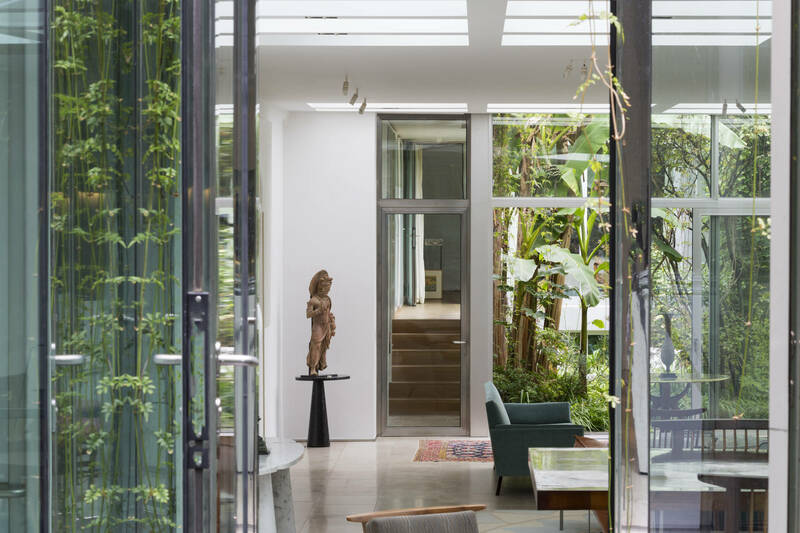 Its ground floor is configured as a single space for domestic life and entertaining arranged around a star shaped interior courtyard and a garden. 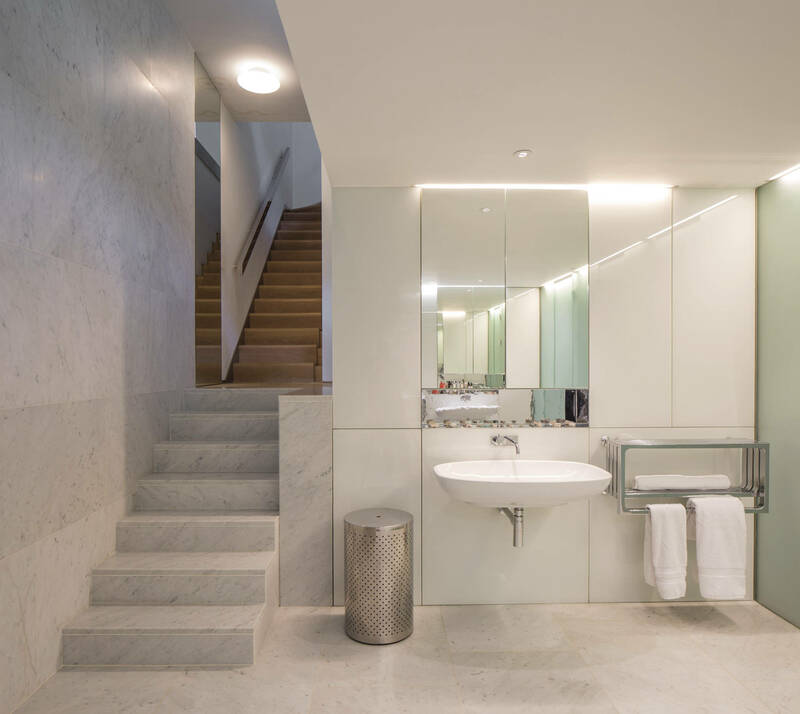 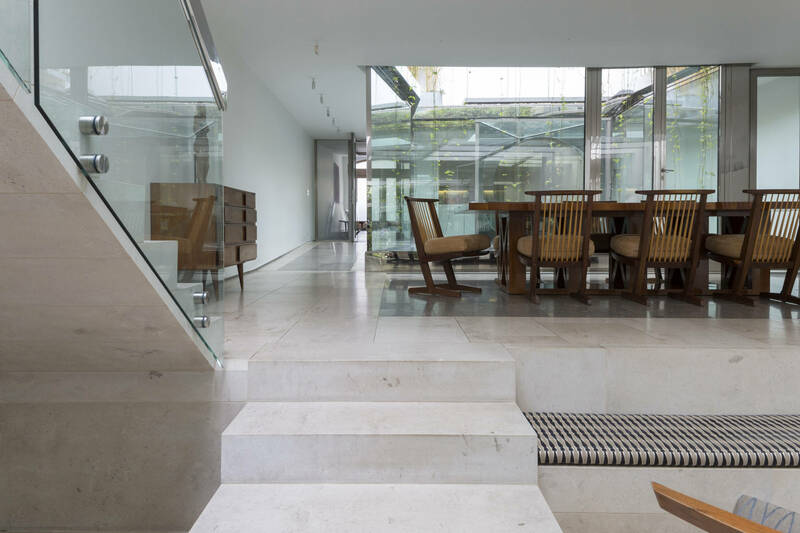 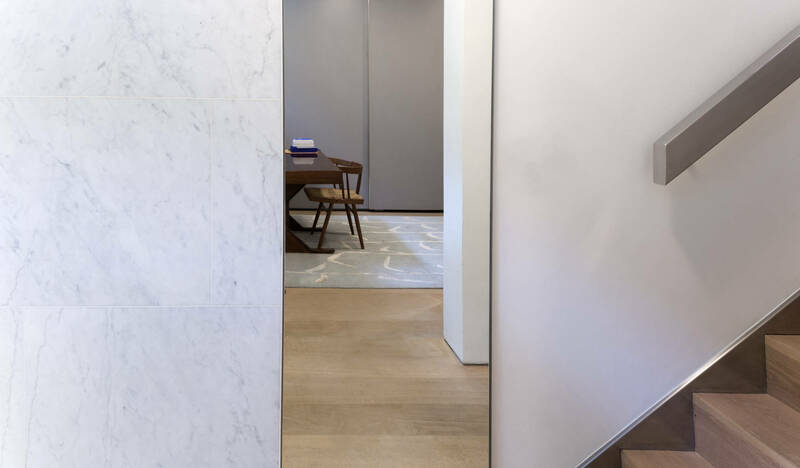 Floors are laid out with two classic British stones, Hopton Wood and Mandale Fossil, which continues in the cantilevering staircase. 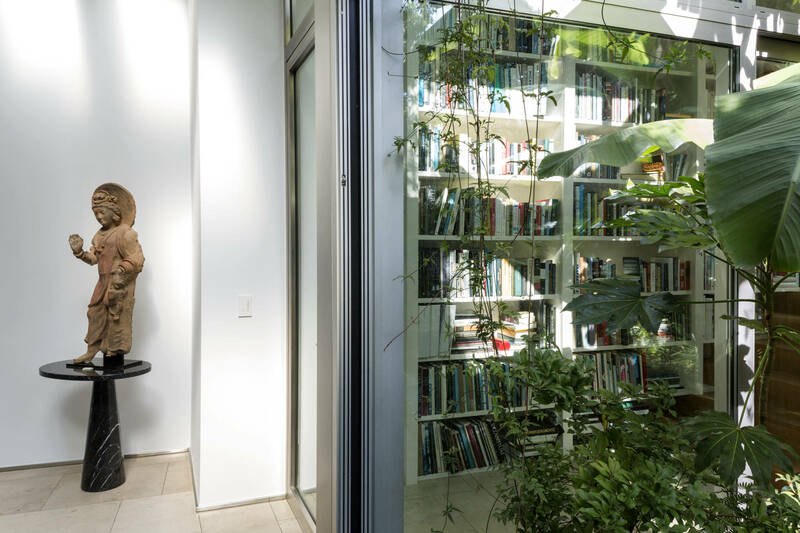 Books and artworks are a significant part of the scheme and are given places in the plan where they take on a role of enriching and giving meaning to the spaces. 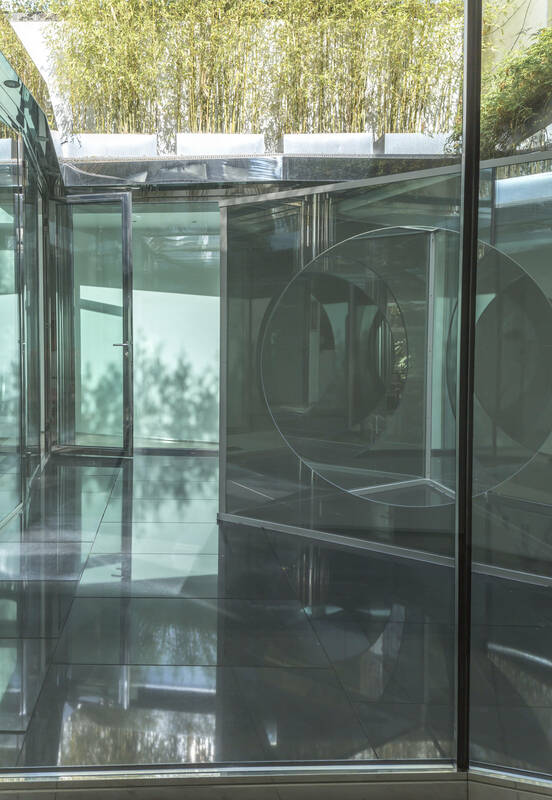 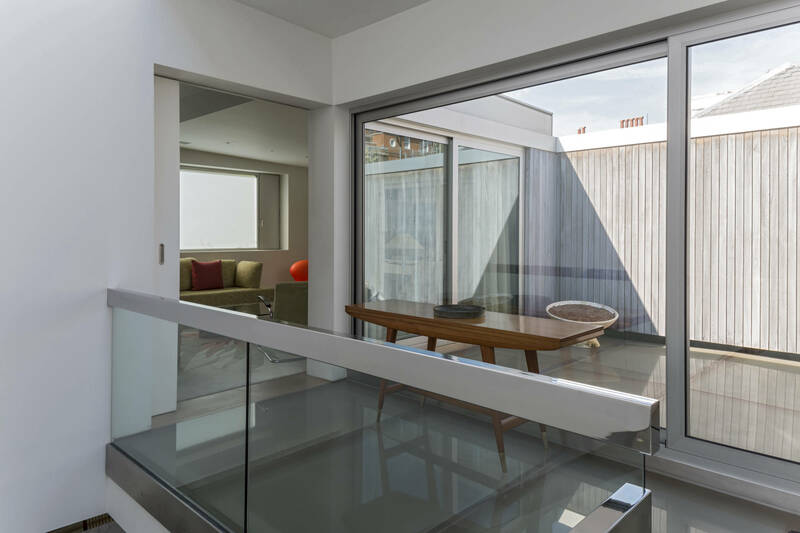 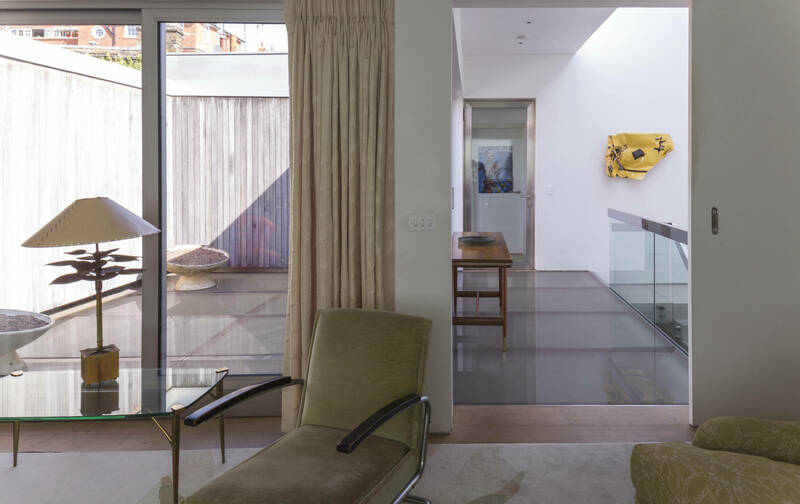 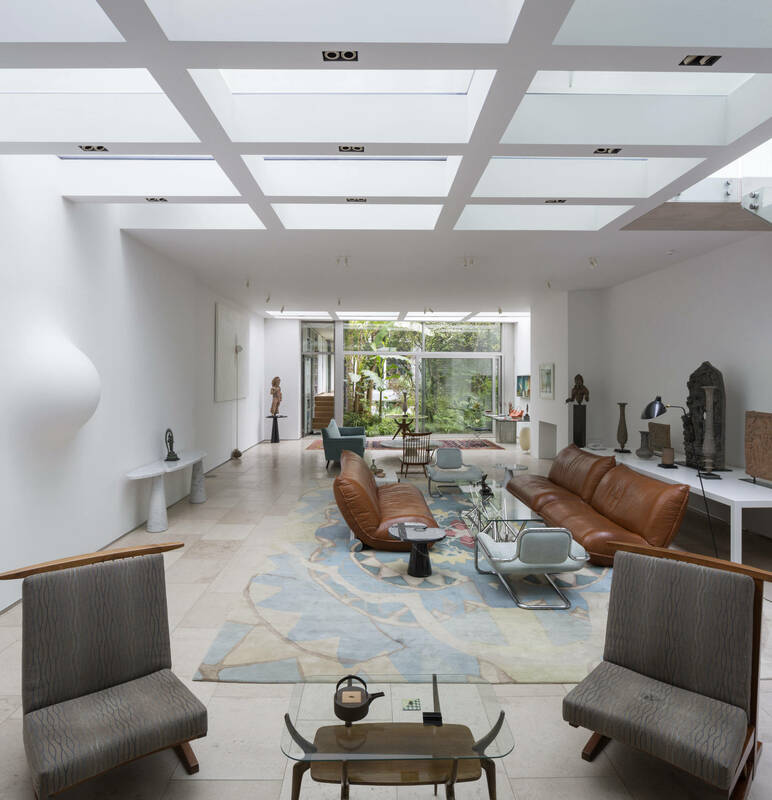 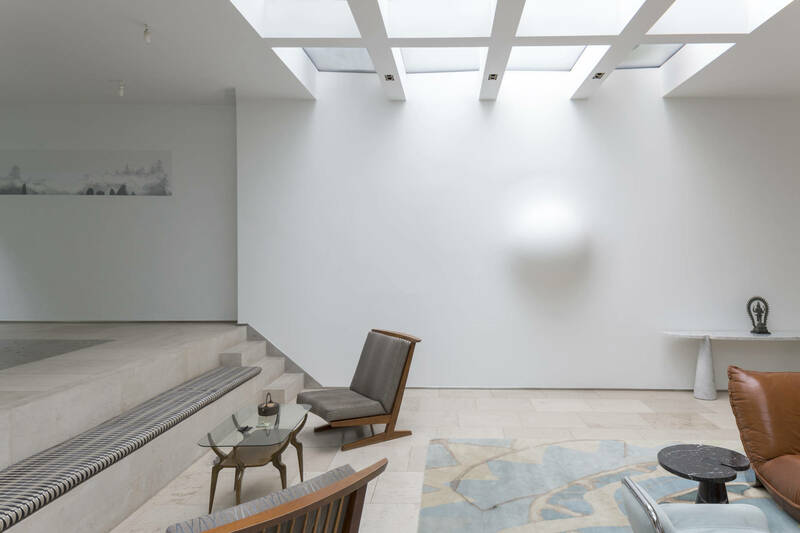 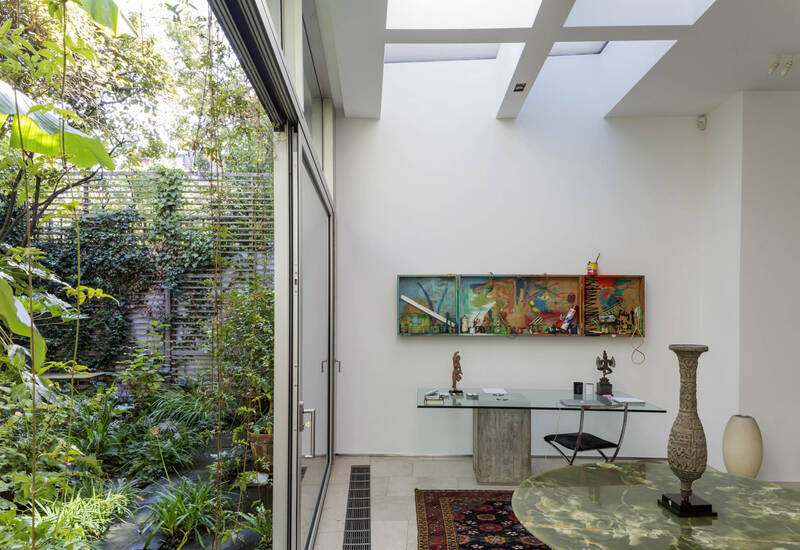 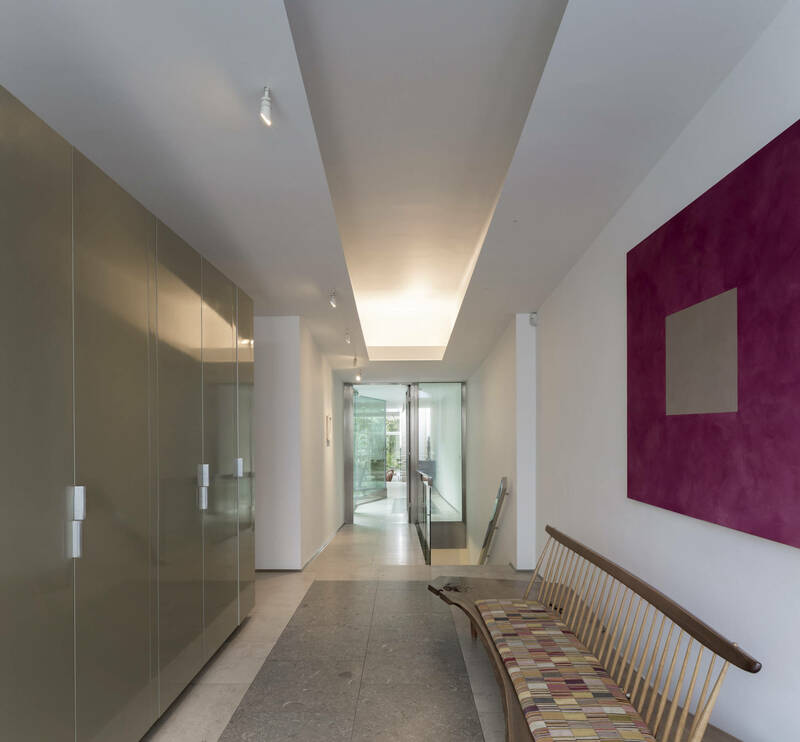 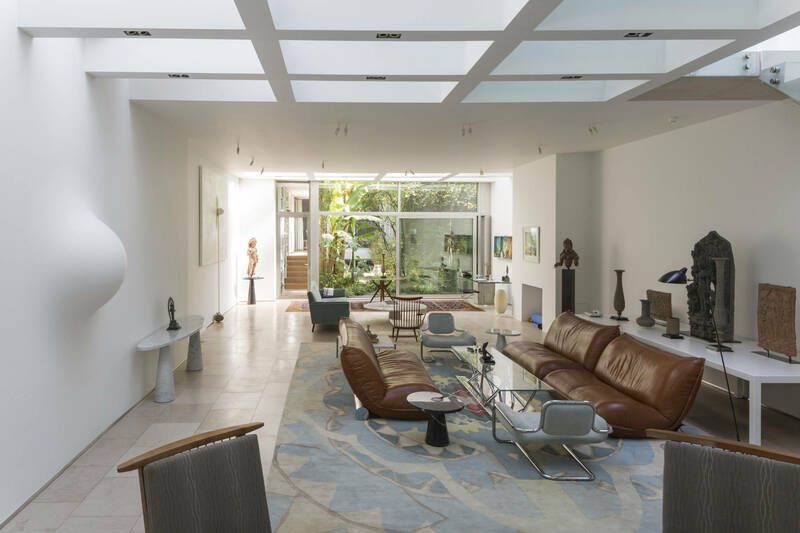 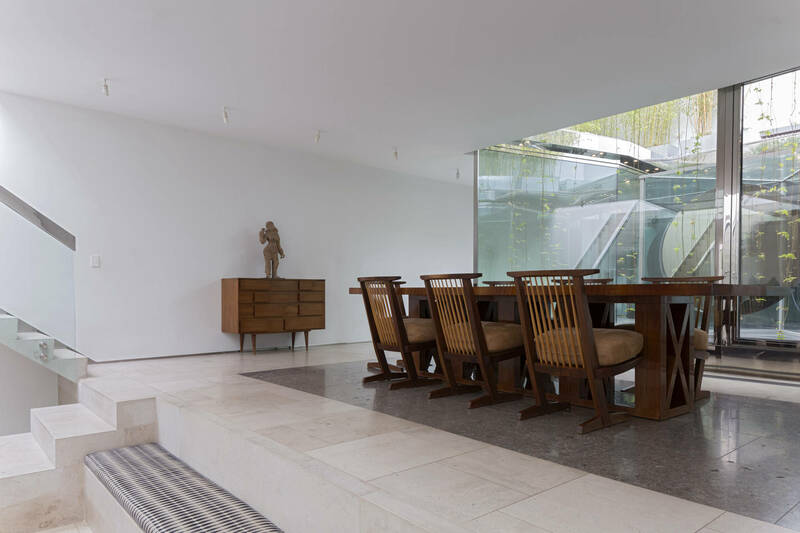 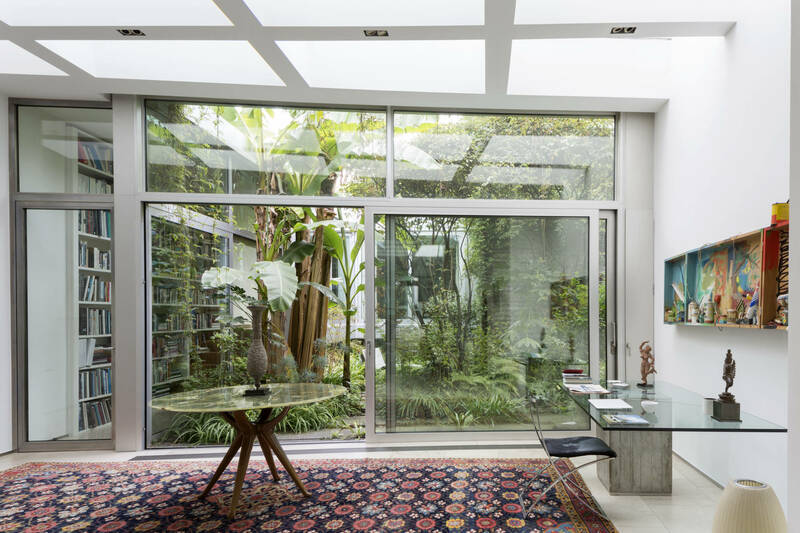 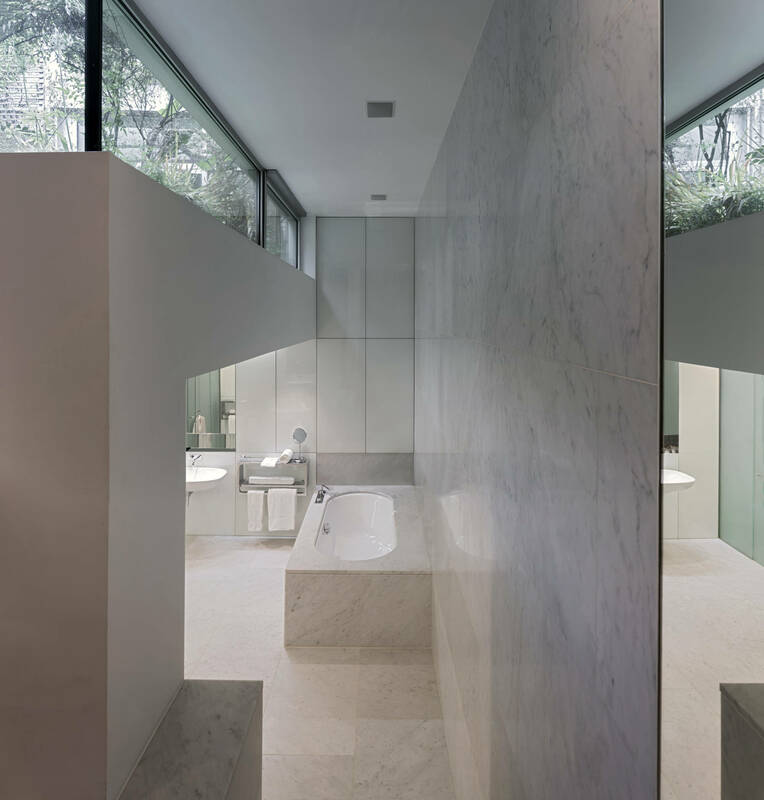 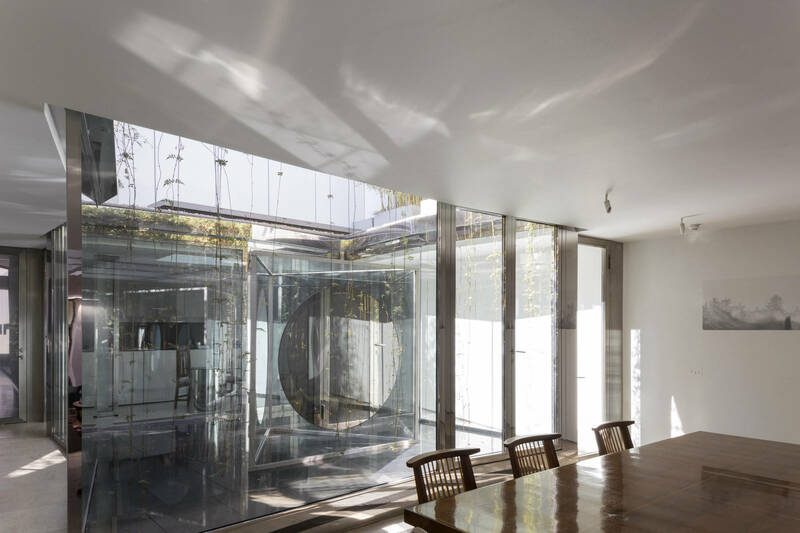 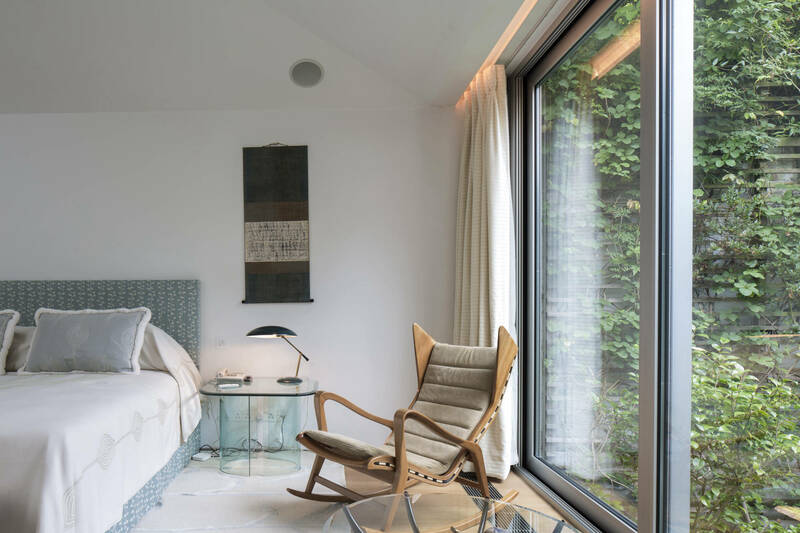 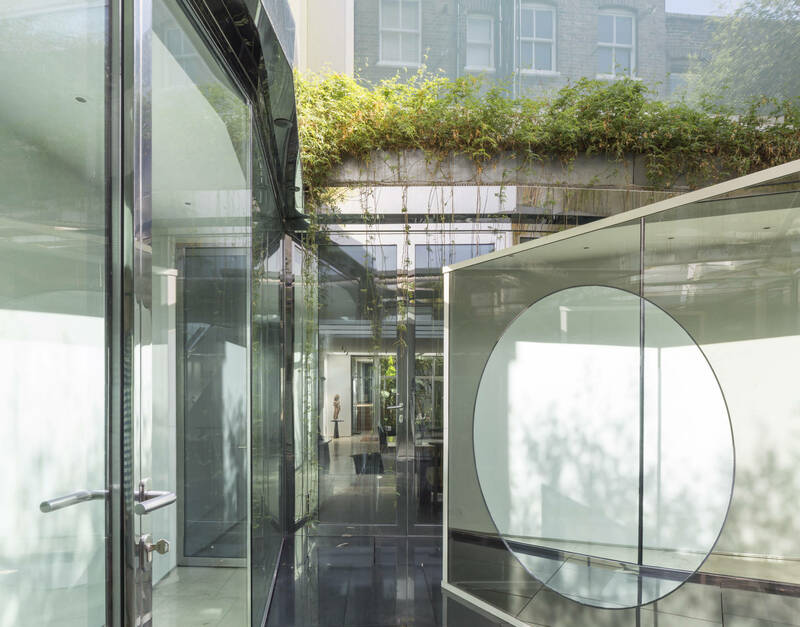 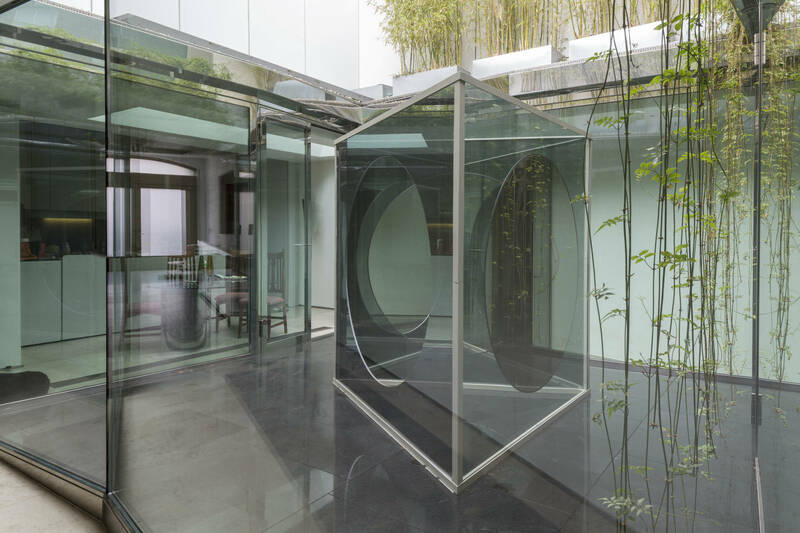 A private courtyard house for an art collector in Chelsea.